Raj Brar (Punjabi: ਰਾਜ ਬਰਾੜ; 3 January 1972 – 31 December 2016) was a Punjabi singer, actor, lyricist and music director. 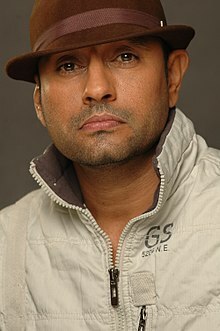 He was best known for his 2008 hit album Rebirth. He made his acting debut in the 1990 film Jawani Zindabad, and starred in the 2014 film Police in Pollywood. Brar died on 31 December 2016 aged 44.